Part one can be found here, including a video that I will refer to in this story. I submit that Doug Wardlow doesn’t know natural law from natural shampoo, but he thinks somehow it nullifies a law adopted by the Congress of the United States. I doubt that even Thomas Aquinas thought that. The great thing about natural law, though, is that it can be, really, whatever you want it to be. The Bible is a great source of natural law and and you get to interpret it the way you want! 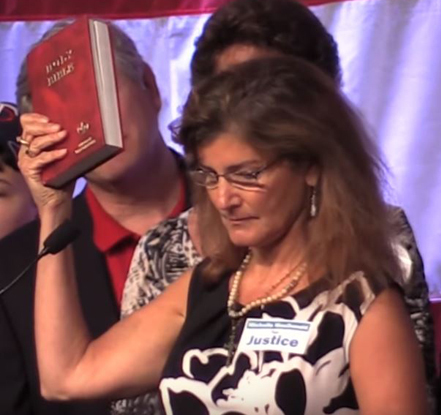 For example, it’s how the perennial Supreme Court candidate Michelle MacDonald can maintain with a straight face that the family courts in Minnesota are unconstitutional because they restrict the “natural right” of parents to raise — and beat — their children. You all remember Michelle, right? Well, it shouldn’t surprise you that MacDonald and Wardlow are fellow travelers. 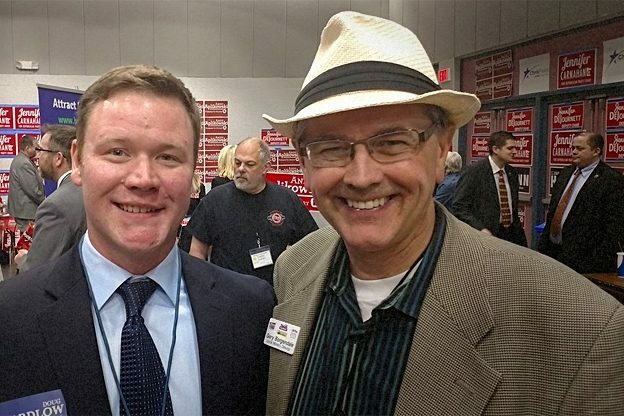 As noted in earlier stories here, Doug Wardlow is a currently a staff attorney for the James Dobson (also a spanker) founded right-wing law firm called the Alliance Defending Freedom. What it really defends, though, is the freedom of some people to use the pretext of religious freedom to visit their prejudice on others. The Southern Poverty Law Center calls the ADF a hate group. Just for the record, I do, too. You will note at the outset that Jefferson — and the entire Continental Congress, for that matter — left half the population out. And never mind the African American slaves or the ingenious people of America. But the Declaration has no force of law in the United States. The Declaration didn’t marry the United States. It divorced the King of England, George III. If you read it, it’s a petition for divorce. It doesn’t set up a new government — that took a couple of tries. It is critically important to recognize that the Colonies were divorcing a man who believed (or at least pretended he did) in the hereditary divine right of kings to rule. We’re done with the hierarchy, said the Declaration; We’ll do it on our own. At least some of us will get to do it on our own! Not you women, of course, nor you people of color; you can go pound sand. So as you can see, the Declaration of Independence goes a bit wobbly when it comes to really tearing down the hierarchy. The Senators and Representatives before mentioned, and the Members of the several State Legislatures, and all executive and judicial Officers, both of the United States and of the several States, shall be bound by Oath or Affirmation, to support this Constitution; but no religious Test shall ever be required as a Qualification to any Office or public Trust under the United States [so don’t even try it, Massachusetts]. There are two parts to the religion clause: prohibiting the establishment of religion and not prohibiting the free exercise of it. The establishment clause is first; it’s the first thing in the First Amendment. The two phrases have existed in tension, though, since they were written. Dobson, the ADL, and Wardlow are working to make the Free Exercise Clause ascendant. The conservative majority on the Supreme Court today is similarly blinded by a commitment to liberty in theory that ignores the reality of how Americans’ lives are actually lived. Like the Supreme Court of [the post-Civil War] era, the conservatives on the Court today are opposed to discrimination in principle, and indifferent to it in practice. Chief Justice John Roberts’s June 2018 ruling to uphold President Donald Trump’s travel ban targeting a list of majority-Muslim countries, despite the voluminous evidence that it had been conceived in animus, showed that the muddled doctrines of the post-Reconstruction period retain a stubborn appeal. This has gone on long enough for today. I’ll probably do a follow-up story or supplement on the difference between natural and positive law. 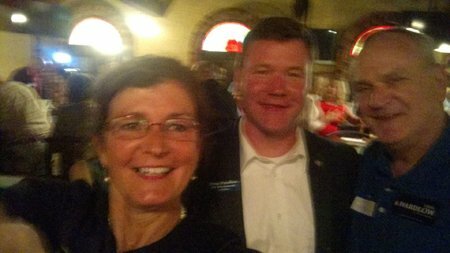 But I hope it is clear that neither Doug Wardlow nor Michelle MacDonald ought to be let within a hundred miles of a public legal job in Minnesota.